To determine the effect of Kangaroo Mother Care (KMC) of small duration of 15 min in decreasing pain in preterm neonates between 32–36 wk 6 d on heel prick by a 26 gauge needle. Randomized controlled double masked crossover trial involving 50 neonates, between 32 wk and 36 wk 6 d gestation and weighing less than 2500 g, within 10 d of birth, vitally stable, breathing without assistance or on Continuous positive airway pressure (CPAP), without any clinically evident neurological signs, not having received analgesics/sedatives within last 24 h and not fed within last 30 min and requiring heel pricking were eligible. Outcome measured was the Premature Infant Pain Profile (PIPP). Analysis was done using independent sample t test, with Bonferroni correction applied for comparing individual components of PIPP score. The heart rate, behaviour and facial scores were statistically significant and lower in KMC group. But there was no statistically significant difference in oxygen saturation (SpO2). The difference(4.85) in PIPP score was clinically and statistically significant (p < 0.0001). The findings suggest that short duration KMC (15 min) has stress reducing benefits. Preterm neonates above 32 wk gestational age can benefit from KMC to decrease pain from heel prick procedure. 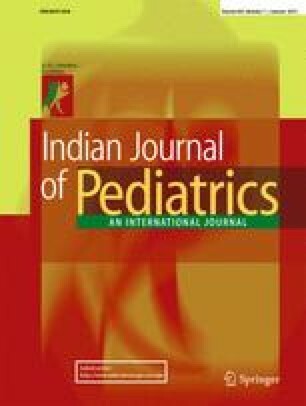 The authors acknowledge the many contributors to this study, most notably the preterms and their mothers, the Central Research Services of Charutar Arogya Mandal who assisted in the analysis of the study and the nurses from NICU who helped in the study.